Music can be produced by using different kinds of things. In the modern days, musical instruments are manufactured to create a certain type of sound. While probably the most common musical instruments used around the world are guitars and drums, there are also other instruments that produce beautiful music. One of these musical instruments is the flute. Even though it is not as common as the others, the music that it produces is still beautiful and appealing to certain types of listeners. An Overview of The Muramatsu Flute: Flutes in Japan, US, Australia, Etc. Around the world, there are several companies that make flutes. However, probably one of the oldest ones, especially in Japan, is the Muramatsu Flute. The flute company was founded by Koira Muramatsu and began manufacturing flutes in the year 1923. Their flutes are handmade and are produced using varying materials ranging from sterling silver and gold to platinum. While some of their products can be readily bought or ordered in certain countries, certain flute models can only be bought via special order. These models include the 18K Gold, the 24K Gold, and the Platinum model. Several artisans in the company have proceeded to build new companies that also specialize in making handmade flutes in Japan. Muramatsu’s research on making flutes by hand began in the year 1923. Through this research, he started to produce flutes in Japan. This became the building block of the Muramatsu Flute as a company. Later on, it eventually transformed into a corporate organization in the year 1957. The factory of Muramatsu, as well as its head office, was moved to another location, which is its current one, in the year 1973. Since then, the expansion of the company’s sales channels grew until their market was no longer only domestic but international as well. Thanks to the high quality of their products, several prominent artists around the world grew to love the Muramatsu flutes. At present, both the factory and the head office are located in Saitama prefecture. On the other hand, Muramatsu also built another company called Muramatsu Flute Manufacturing Co., Ltd. to serve as the total distributor of the main company’s products. This manufacturing company was established in the year 1963. It distributes directly to retail and wholesale stores and dealers throughout Japan. It also exports flutes to different parts of the world, mostly in the US as well as in Europe. Time passed by and, eventually, his son Osamu Muramatsu succeeded him as the leader of the company. Until today, the company continues to make high-quality flutes using the same tradition that was applied years ago by the founder of the Muramatsu Flute. At present, the company is being headed by his grandson Akio Muramatsu. The company now has a reputation as a maker of some of the finest professional flutes on Earth. At present, the company is among the top sellers of model and professional flutes in the world. Its prominence is so apparent that several famous flutists prefer using its brand. These include James Galway, Isadar, and Sharon Bezaly. There are several flute models under the belt of Muramatsu. The most economical flute in their line is the EX model. With the combination of a solid silver head joint that is cut by hand and a German silver body and foot joint plated in silver, this model is quite easy to play. Not only does the tone produced by this flute silky but also full, which makes this model all the more beautiful. For people who would be playing a handmade Muramatsu flute for the first time, the EX model is the perfect flute as an introduction. While it can be played with ease, the EX model is no cheap flute. 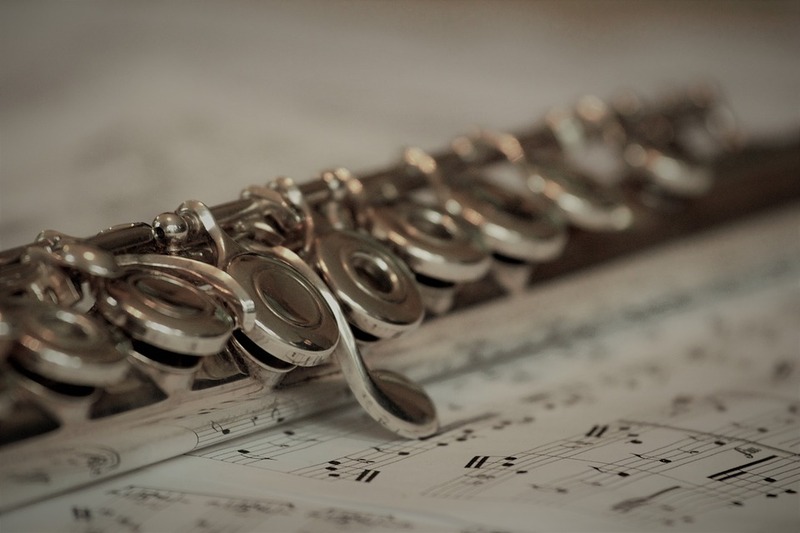 It comes with a touch of luxury while still offering all the functions necessary in order to produce beautiful music, which makes this product an excellent flute. This model offers options of either covered holes or French style, which are open cups. Its pitch is A=442. It retails for at least US$4,095. If one is looking for a handmade flute from Muramatsu that certainly has great value, look no further than the GX model. It is a handmade flute that produces a warm and mellow sound. 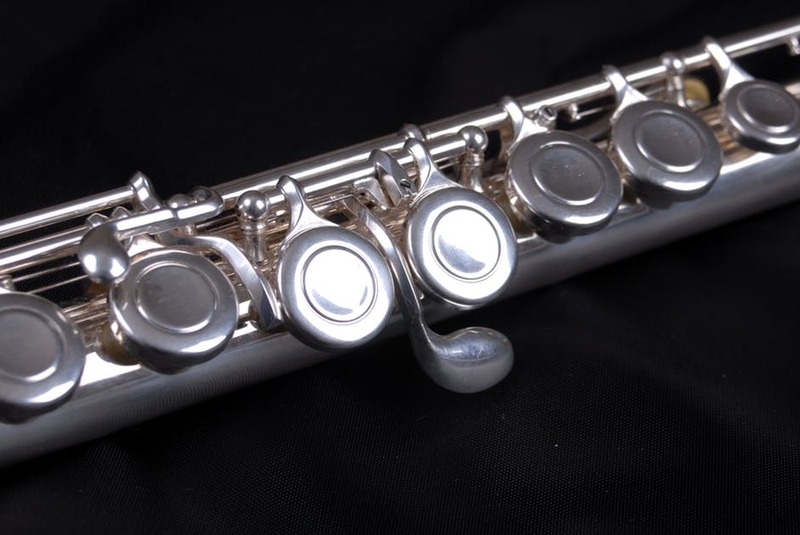 Aside from the German silver key mechanism that is plated in silver, the flute is made of all sterling silver. Even though the quality of this model is impeccable, just like all other flutes manufactured by Muramatsu, the GX model actually costs relatively less than other professional flutes. The construction standards used to make this model are excellent, as with all other flutes under the name of Muramatsu. The model features solid silver tubings, rings, posts, embouchure, and ribs. This model also offers options of either covered holes or French style. Its pitch is A=442. It retails for at least US$6,195. For people interested in the highest quality flute made of sterling silver, Muramatsu offers two models, namely, the DS model and the SR model. The only difference between the two is the type of tone holes. The DS model features drawn tone holes while the SR model offers soldered tone holes. The DS model is able to produce sharp staccato as well as excellent legato. Thanks to Muramatsu’s extremely high precision technology, the company is able to fabricate the drawn tone holes that enable the flute to perform well. In addition, the DS model also features a lip plate that enables users to play the flute easily. The said lip plate also lets the instruments respond quickly to a variety of subtle changes in tone color. This model offers options of either covered holes or French style. Its pitch is A=442. It retails for at least US$8,900. On the other hand, Muramatsu uses its own special techniques to solder the tone holes of the SR model. Thanks to this technique, Muramatsu is able to create a balanced equipment that is the SR model. This model features an exquisite spectrum of tonal colors. Furthermore, the SR model also offers options of either covered holes or French style. Its pitch is A=442. For a flute exclusively manufactured by Muramatsu, check out the PTP model. It is a handmade sterling silver flute plated in platinum. In comparison to a solid platinum flute, this model’s tonal characteristics are almost not distinguishable. It allows users to play in various ranges, may it be soft or loud dynamic. Moreover, this model offers options of either covered holes or French style with a pitch of A=442. Aside from silver, Muramatsu also manufactures flutes in gold and platinum. The first model in the gold line-up is the 9K Gold model. Made from a special alloy, this kind of flute responds quickly and offers brilliant tonal colors. Created with great mastery of workmanship and high precision, this model is actually a well-known gold flute around the world. This model contains 9K gold tubings and embouchure and features a silver-key mechanism. It offers options of either covered holes or French style with a pitch of A=442. Another variant of this model is the 9K All Gold, which just means that the whole flute is made of solid gold. Next in the line-up is the 14K Gold model. Most professional flutists prefer this model as their flute of choice. This may be due to the fact that the 14K gold model produces a rich lustrous sonority and offers great tonal quality. The said model is also considered to be a reliable flute when it comes to the quality of music that it produces. This model is able to maintain its deep resonant tone while enabling the user to play between notes with a smooth transition throughout the scale. The craftsmanship of this model is also impeccable, as compliments by several flutists hailing from different parts of the world. The regular variant of this model comes with 14K gold tubings and embouchure and features a silver-key mechanism. It offers options of either covered holes or French style with a pitch of A=442. On the other hand, another variant of this model is the 14K + 9K Gold. This variant features 14K gold tubings, rings, posts, embouchure, and ribs. However, its key mechanism is made of 9K gold. The last variant of this model is the 14K All Gold. For this variant, the whole flute is made of 14K solid gold. Both variants also offer options of either covered holes or French style with a pitch of A=442. Third on the line is the 18K Gold model. This flute is known to produce an incredibly smooth sound, as complemented by various first-rate flutists. Due to its high density, this model can produce a tonal response that is not only even but also deep. It is also able to project a sound brilliantly. The regular model comes in 18K gold tubings and embouchure and features a silver-key mechanism. The model also offers options of either covered holes or French style with a pitch of A=442. It also comes in another variant, which is the 18K + 9K Gold. This variant features 18K gold tubings, rings, posts, embouchure, and ribs. However, its key mechanism is made of 9K gold. The last variant of this model is the 18K All Gold. For this variant, the whole flute is made of 18K solid gold. Both variants also offer options of either covered holes or French style with a pitch of A=442. The last of the gold series is the 24K Gold model, which can only be purchased through special order. The ultimate flute manufactured by Muramatsu would probably be the Platinum model. This type of flute can create tonal expressions that are not only rich but also refined. These tonal expressions can range from pianissimo to fortissimo. The main features of this model are clear and excellent tone, rich tonal quality, and amazing sound projection. It also looks excellent with its bright luster. The regular variant comes with platinum tubings and embouchure and features a silver-key mechanism. On the other hand, another variant of the same model is the Platinum + 14K Gold. The only difference is the key mechanism, which is 14K gold for the Platinum + 14K variant. Both variants also offer options of either covered holes or French style with a pitch of A=442. Muramatsu offers different kinds of flute services to its clients. 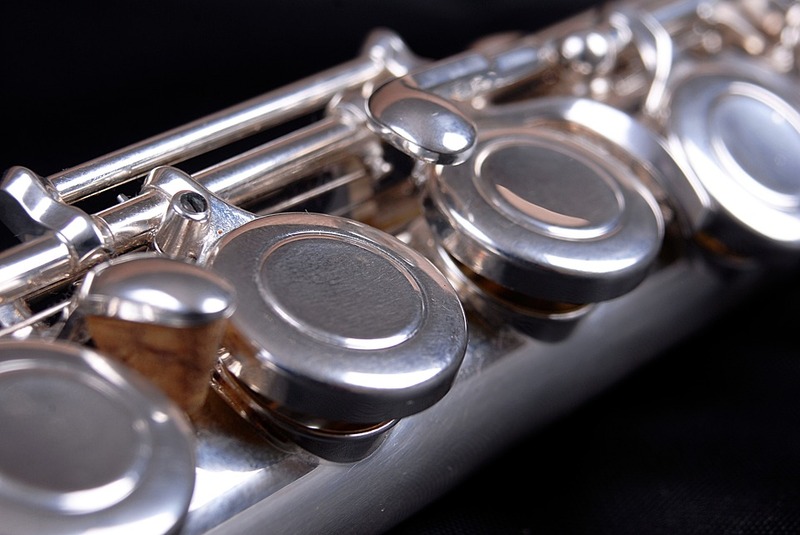 In Muramatsu America, the flutes of their clients are handled by expert repair technicians. These technicians first undergo training under the Master Technicians from the company’s factory all the way in Tokyo, Japan. As a result, the maintenance of anyone’s Muramatsu flute in Muramatsu America is highly guaranteed. The company provides complete flute services for the Muramatsu flutes of its clients. Only authentic Muramatsu repair parts are used and installed in the flutes coming in from its customers to ensure quality. They provide maintenance repairs and flute overhauls. However, it would be best if the flutes were not filed down nor the tone holes altered. For basic clean, oil, and adjust, the service would cost US$400. Additional repairs would, of course, incur additional charges. For traditional felt pads, overhaul costs US$1,450. On the other hand, for flutes with only the current new style Muramatsu pad system, overhaul costs US$1,550. As for converting to a new pad system, overhaul costs US$1,950. However, this is not available on all instruments. The rates are also subject to change. Overall, Muramatsu flutes are definitely one of a kind. With excellent quality and amazing workmanship, it comes as no surprise that flutists from all over the world prefer Muramatsu over other brands. Backed by decades of research and craftsmanship, Muramatsu is definitely geared with the proper knowledge and expertise to create some of the best flutes in the world.